The legendary Jazz musician Wynton Marsalis just released a new jazz album recorded before a live audience at the Mella Theatre in Havana, Cuba. Titled Live in Cuba, the album explores the connections between American jazz and different types of Afro-Cuban music. Read more from NBC’s report. If you are interested about Cuba music, find out more in our website’s music section. A photographic exhibition featuring images of Cuba for the past 65 years is being held at Southhampton (N.Y.) Art Center and will last until September 7. Photographs on display documented the years of Cuba under the Batista government, and during the Cuban revolution to present days. Find out more details in the New York Times brief and the exhibition page. 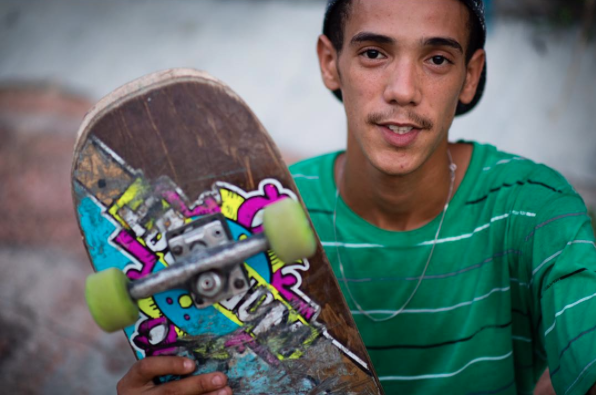 Cuba’s skateboarding community is nascent and slowly budding with the help of a NGO group in the U.S. called Cuba Skate. The group aims to foster a sporting relationship between the two countries despite differences. But could the skate diplomacy be as effective and viable as the ping-pong diplomacy for China? Learn more from Washington Post’s story. In a closed-off country like Cuba, technology has been slowly yet effectively changing the lives of the locals without the use of Internet. Watch CNBC reporter Michelle Caruso-Cabrera’s video report here to learn more. Bitcoin has made its way into Cuba after the U.S. restored relations with Cuba. The first transaction was reportedly made by the founder of BitcoinCuba. The acceptance of Bitcoins in Cuba could open up new opportunities for Americans who wish to do business with Cuba. Read more in Quartz’s story.